The Independent National Electoral Commission (INEC) has called on the relevant authorities to call soldiers to order following intimidation and arrest of electoral officers in Rivers state. 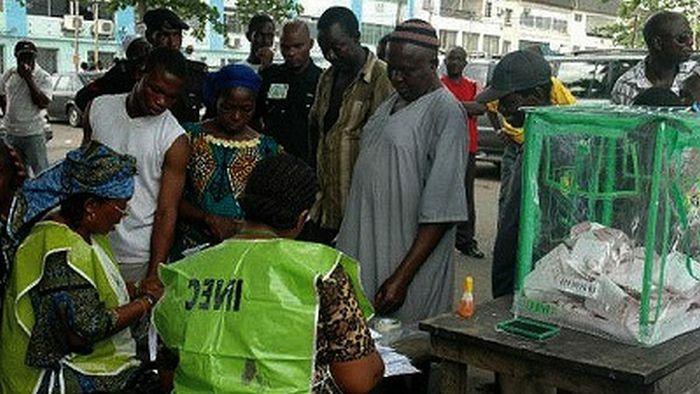 According to INEC, results from 17 out of the 23 local government areas (LGA) where the governorship election held in Rivers state are still intact as it frowned at the interference by soldiers in the electoral process. This was disclosed in a statement issued by Festus Okoye, INEC’s director of information and voter education committee. Okoye said the commission would issue detailed timelines and activities for the completion of the election on Wednesday. He said a decision on the election was taken at a meeting where the commission considered the report of the fact-finding committee set up to assess the situation in Rivers where electoral process was suspended. The governorship and state assembly elections took place in most polling units and results were announced,” part of the statement read. Okoye said INEC was committed to expeditious completion of the collation process where results of the elections had been announced. He added that INEC will engage the security agencies at national level and the inter-agency consultative committee at the state level to demand neutrality and professionalism of security personnel in order to secure a peaceful environment for the completion of the elections. The post Rivers Election: INEC Blames Soldiers, Accuses Them Of Intimidating And Harassing Electoral Officers appeared first on Naijaloaded | Nigeria’s Most Visited Music & Entertainment Website.